Geometric tiles may seem familiar to you, but with new geometric tile trends are coming into play. Designers have redefined classic looks with a modern twist for clients all around the globe. By using beautiful natural stone, we are able to create and install intricate inlays in almost any design and shape you are looking for. Geometric tile also works great in places that experience moisture such as the bathroom, kitchen or laundry room. Utilizing designs with hexagons, diamonds and other unique shapes can create nearly any look you wish to achieve. Bye bye boring carpet! Starting in the 80s, it seemed like the beige and wood on wood trends were going to stay forever. 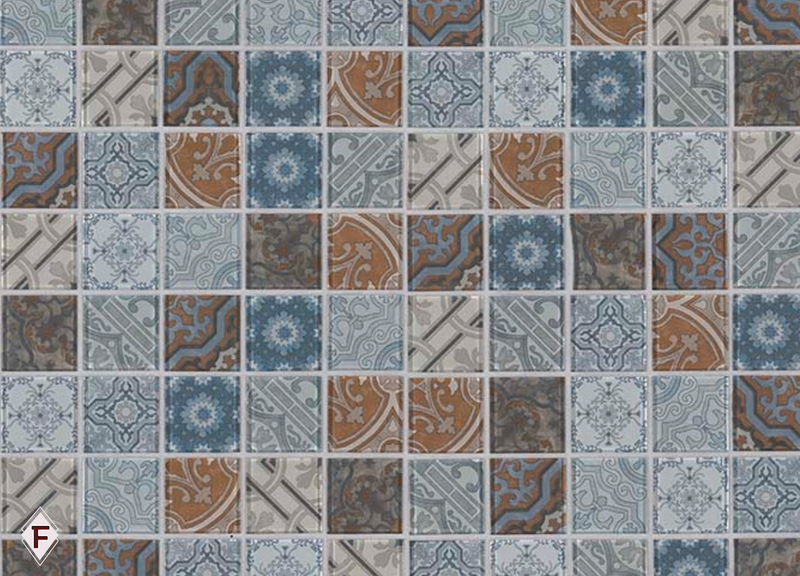 With all the new and improvement tile selections out there, you can breathe new life into the homes of your clients. Floors are able to come alive with a tile print that will draw anyone’s eye to its uniqueness. Color tiles and using multiple tiles in a home are ways to be even more eccentric. They will help every floor plan by adding character and your own spin to the mix. Pattern tile has entered a new era of design. Today’s looks are inspired by century-old encaustic tile that comes from all over the world like Turkey, Spain and France. These tiles are low maintenance and stand out with flower designs, recognizable prints, and classic charm. Adding a classic feel to your modern home will blend centuries together in a beautiful way. You can install this tile as a backsplash, floor, shower or anywhere else your creative mind takes you. What is your favorite tile style trend? Let us know, we love hearing from our customers!